Kapil Sharma is back to making headlines. And this time it is for all the right reasons. The ace comedian is soon going to be back with something he does the best. He is going to tickle the audience silly with The Kapil Sharma Show. Apart from this, the actor is soon going to enter a new phase of life. He will exchange marriage vows with longtime girlfriend Ginni Chatrath on December 12 in Jalandhar. Until few days back, the couple had been tight-lipped about their relationship. Apart from the fact that she and Kapil were partners in the comedy show Hans Baliye, we knew hardly anything about Ginni. 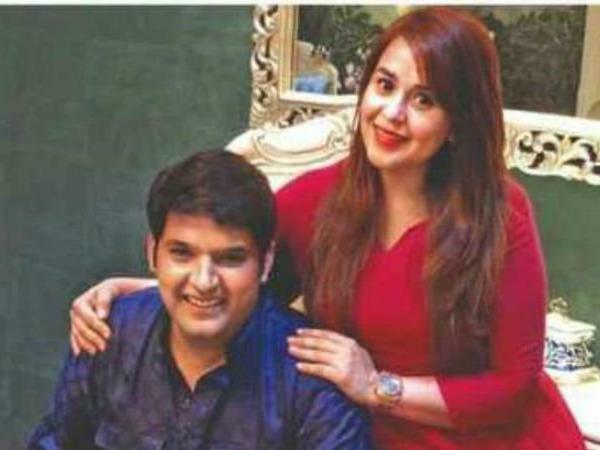 But finally, both Kapil and Ginni have opened up about their love life and upcoming marriage. And Ginni just revealed why she chose Kapil as her life partner. Sharing about this to DNA, Ginni said, "He always makes me smile, even if I am angry, he knows how to make me happy. In fact, whenever there are serious issues, he always gives me full attention and makes sure to get that smile back on my face." She further added, "I like the fact that Kapil is a family man. He respects his mother and sister immensely, and that shows how much respect he will give his life partner. For me, Kapil is a workaholic, a family man and extremely witty." Ginni always felt the connection with Kapil and, also confessed that she was the first one to fall for the comedian. "I always knew he was the one. In fact, I was the one who fell in love with him. I would take home-made food (with some help from my mom) for him during college days," revealed Ginni to the same.